Anthony Armand “Tony” Ferguson is an American mixed martial artist, born on February 12th 1984. He competes in the UFC lightweight division. He won season 13 of The Ultimate Fighter. 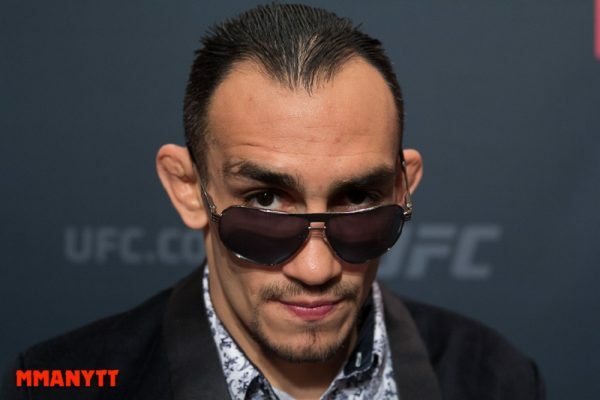 Tony Ferguson grew up in Muskegon, Michigan and is of Mexican descent. His father enrolled him in sports at a young age and earned 12 varsity letters at Muskegon Cathoc Central High School, in football, baseball and wrestling. He won All-State in wrestling in 2002 in the 152 lbs weight class and at University he won two NCWA National Championships at 165 lbs. 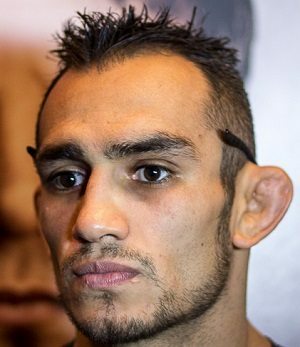 Tony Ferguson made his MMA debut in 2008 and won his first four pro fights. He lost his 5th pro fight but bounced back to win three in a row, before the 2nd loss of his career. 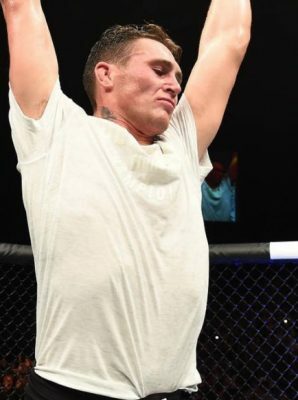 Once again Ferguson bounced back and won three in a row and got the chance to compete as a welterweight on The Ultimate Fighter: Team Lesnar vs. Team dos Santos. Tony Ferguson was the third pick for Team Lesnar. In his first fight versus Justin Edwards, he got taken down but while on the ground Tony landed a devastating upkick that knocked Edwards out cold. With the win he moved on to the quarter finals. In the quarter finals he defeated Ryan McGillivray by TKO in less than a minute. He moved on to the semi finals where he faced teammate Chuck O’Neil. It took until the third round before Ferguson was declared the winner by TKO. Tony Ferguson faced fellow finalist Ramsay Nijem to determine who would win this season of TUF. Ferguson knocked out Nijem in the first round and got a Knockout of the Night bonus for the finish. After the fight, Ferguson moved down to lightweight to face Aaron Riley. After a competititve fight, Ferguson connected with a left upperut and dominated the last two minutes of the first round. In the corner Riley said he had broken his jaw and the fight was called off, giving Ferguson the victory by TKO. He defeated veteran Yves Edward by unanimous decision beforehe lost his first fight in the UFC to Michael Johnson. Tony Ferguson is undefeated since the loss to Johnson. He is currently on a 9-fight win streak including wins over Rafael dos Anjos, Edson Barboza, Josh Thomson, Gleison Tibau and Lando Vannata. Tony Ferguson fights Kevin “The Motown Phenom” Lee for the interim lightweight title at UFC 216: Ferguson vs. Lee the 7th of October in Las Vegas, Nevada.